We checked out this book from the local library to read. All opinions are my own. 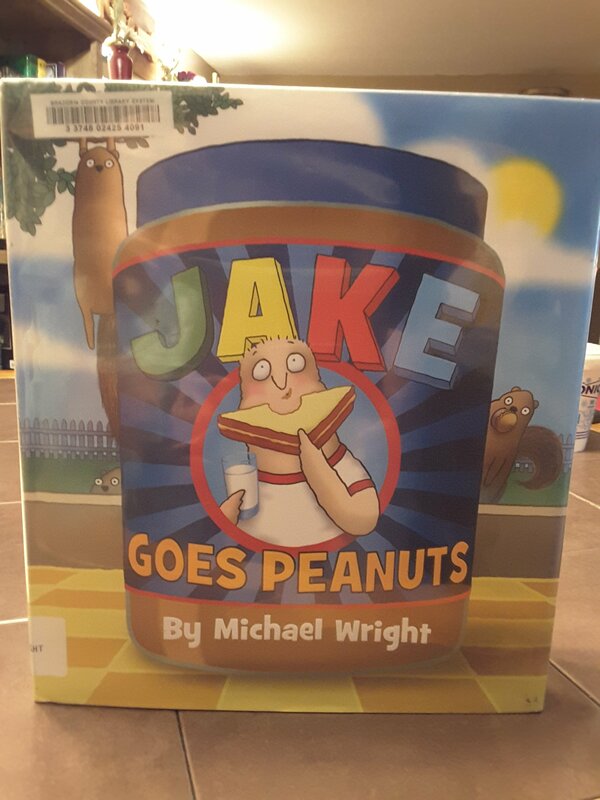 🌟🌟🌟🌟🌟Jake Goes Peanuts by Michael Wright. Jake is a picky eater no vegetables or greens only peanut butter. So Jake’s parents come up with a peanut butter plan that will shock children to change their mind about vegetables or main courses except tuna casserole. No one likes tuna casserole! This book is a great read for your picky eater! Review also posted on Instagram @jasonnstacie, Library Thing, Goodreads/StacieBoren, Amazon, and Go Read.